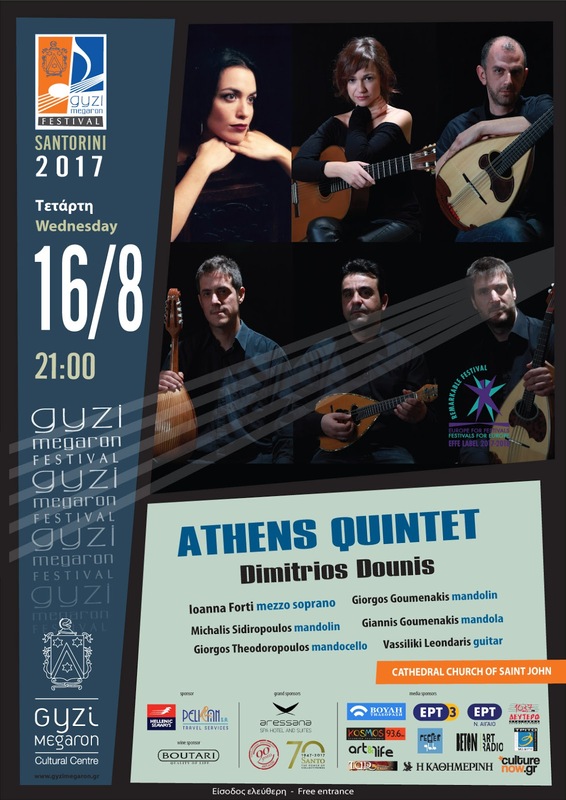 The Athens Quintet D. Dounis, with the sounds of mandolin, mandola, mandoloncello and guitar, takes us on a sweet musical journey accompanied by the incredible voice of Ioanna Forti. At the St. John the Baptist Catholic Cathedral, in Fira, at 21.00. Free entrance.